Yes, I know I was just away over the New Year… but hey, when your friend invites to you to to a yoga festival and then hiking in NZ for a week, how can you say no? 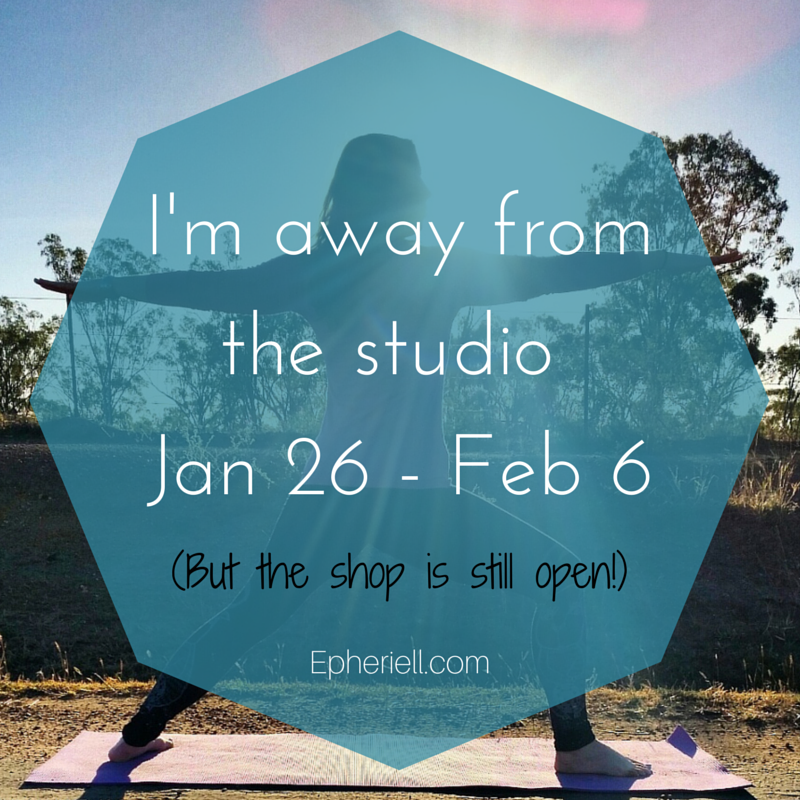 I’m going to be away from the studio from Jan 26 – Feb 6 – I’m off to get my yoga on the Wanderlust Festival at Lake Taupo, NZ, and then I’m joining a few friends for a hike around Lake Waikaremoana. I love New Zealand, and haven’t been there for years, so I’m really looking forward to visiting again, and seeing more of the breathtaking natural beauty that it’s justifiably famous for.. Even though I’m heading away, I’m not going offline (except for a day or two on the hike – I have no idea if we’ll have reception! ), and I’m leaving the shop open for orders. Any orders placed between Jan 24 and Feb 6 will be commenced on Feb 7th and shipped by Feb 13th at the latest. (If you order on or prior to Jan 23, your order will ship before I go). I will still be checking emails when I can, but please be aware it might take me a few days to get back to you. Thanks in advance for being patient with me – you rock! P.P.S. Yes, that’s me in the photo, doing yoga by the side of the road in the middle of Queensland somewhere on our roadtrip last July at sunrise.